In Switzerland, there is a campaign taking place to protect the wealth of the country by investing in gold, a great deal of gold. The Swiss, as a way to test their sense of being financially secure, are requested to vote on a new proposal to make the country’s central bank hold 25% of its total reserves in gold within the next five years. That means it would have to purchase 1,500 metric tons the equivalent of 1,650 short tons, of gold that would be worth over $60 billion. 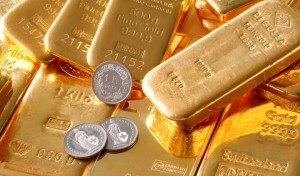 If that initiative wins backing from the majority of the country’s voters on Sunday, the central bank would also not be able to spend any of the gold, which would have to be locked in vaults all of which would have to be on Swiss soil. This could cause a sudden spike in the price of gold globally, said one industry analyst. The Swiss People’s Party the nationalist party, which is the largest in the country, has brought the initiative they dubbed Save Our Swiss Gold. They argue it will restore the trust in the country’s central bank and in its paper money, the Swiss franc. However, the proposal has been opposed by financial leaders and the government but aims to take advantage of the increasing sense of caution amongst the Swiss over the perceived dangers as well as increased volatility of the financial markets. Though Switzerland is amongst the most prosperous in the world, the initiative has argued that owning gold inside vaults protects the wealth of the country from trouble within the markets that is beyond any control of the small nation. The 2008 financial crisis experienced by all triggered partly by the complex investments that sank a number of banks and bankrupted entire governments is fresh in the memories of people. An accountant in Geneva said that he was wary of the thought of his country buying and selling gold in big amounts within international markets. Despite the thought that gold’s value remains protected by its physical good, its price in the market can be volatile and the metal is often used as safe haven for speculators.